Aesthetics: Similar to the Neo Hybrid, the Spigen Tough Armor is beautifully designed to complement the iPhone 6 and iPhone 6s with its slim look and metallic finish. Available in Rose Gold, Gold, Gunmetal, Silver and Black, the Tough Armor is a fan favorite. Rating: 4 out of 5 in aesthetics. Ergonomics: The metallic finish of the Tough Armor captures the feel of your iPhone 6 and iPhone 6s; however the smooth material makes it easier to slip out of your hand and drop it. The case also makes it difficult to press the side buttons, access ports and switch the sound on an off. Rating: 3 out of 5 in ergonomics. Protection: The Spigen Tough Armor offers excellent protection with its rubberized TPU edges and durable plastic detachable backing. It also features air cushion technology on the interior of the case. However, the case does not come with a screen protector, which leaves the delicate screen vulnerable to damage. Rating: 3 out of 5 in protection. 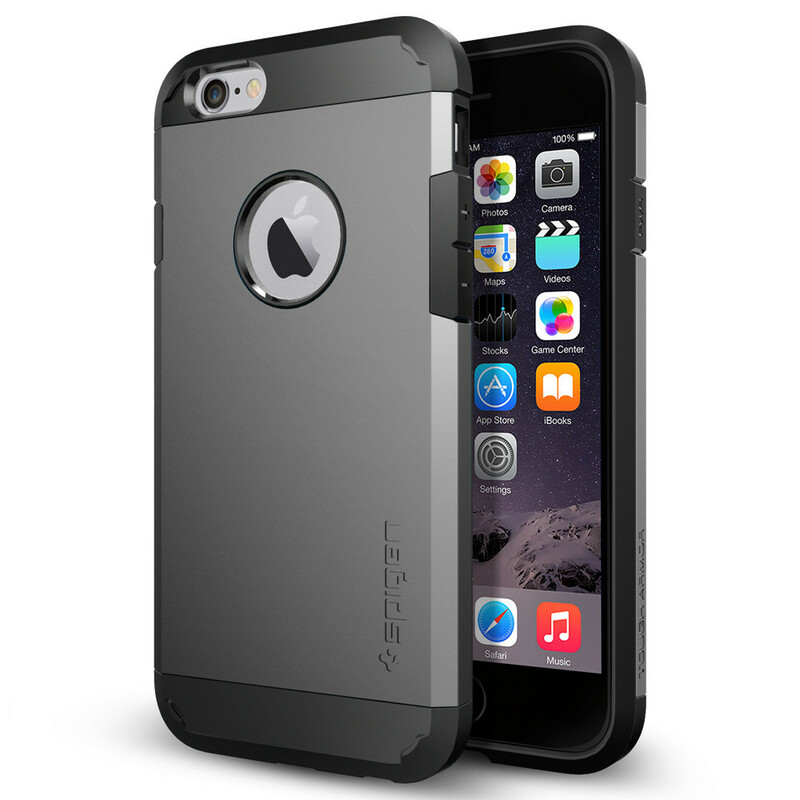 Price: Much like the Neo Hybrid, the Spigen Tough Armor is priced at $34.99 retail on Spigen’s website, which is a bit steep compared to other iPhone 6 and iPhone 6s cases given the fact that it does not include a screen protector or a belt clip found standard on OtterBox Defender. Rating: 3 out of 5 in pricing. Customer Reviews: With thousands of positive reviews on Amazon, the Tough Armor is one of the top rated cases on the market with 68% of consumers giving it an A. Although some customers have complained about the lack of screen protection, most customers are satisfied with the Tough Armor. Rating: 4.0 out of 5 in reviews.